Alessio Franceschetti gives his Highland Park loyalists a reason to leave The Bubble. Her hair a halo of white, her footsteps faltering, her elbow propped on the arm of a younger, more resilient relative, the little old lady couldn’t have been more than 4-foot-10. Toddling into the restaurant, she spied the namesake—hardly much taller than she, in his starched blue shirt and high-waisted pants—and beamed. Far away? Far away from what? Faster than you could say Lomo Alto Drive, Alessio Franceschetti had his guest ensconced at a table where she was surrounded by more of her kind: Alessio-ites who’d made the courageous trek all the way to the wilds of East Dallas. Silly, East Dallas isn’t that far. But it does seem like a long hike for a plate of Italian food—even well-made Italian food, which is what Alessio’s serves: robust pastas, crisp crusted pizza with a fine salty snap, sharply dressed salads, and savvily seasoned soups. The magic comes not just from the food. There’s also nostalgia. 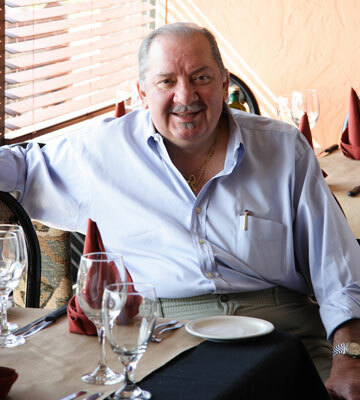 For 16 years, Franceschetti held court at the first Alessio’s, which he opened in 1983 at the corner of Lemmon and Lomo Alto. Back in the day, that strip was ground zero good times for the HP crowd. Franceschetti rode it out until ’99. But there’s more to it than a trip down memory lane. You do something for 30 years and you acquire an assurance, a smoothness of step. He’ll remember what you like, often after only one visit, and give it to you that way the next time you come. “Yessss, Miss Teresa,” he’ll purr. He makes you feel special, and how far won’t you drive for that? Meanwhile, reality check for the HP pack: Alessio’s may seem to be on another planet, but its location in a former Vietnamese restaurant in old East Dallas is actually quite central, even enviable for an Italian joint. It sits one block from Jimmy’s Food Store, the temple of Italian foodstuffs. Jimmy’s functions not only as Alessio’s de facto commissary but also as a magnet for the kind of foodies and locals that constitute Franceschetti’s audience. Pop into Jimmy’s before your meal and you’ll surely spy Alessio staffers stocking up on loaves of bread or Italian meats for the dinner shift. That’s if you’re gauche enough to make your reservation before 7 pm. Alessio’s officially opens at 5:30, but if you make your reservation that early, prepare to suffer the consequences. “We’d like to come early. When do you open?” someone asked. At 6, the staff still hadn’t finished its conversation about who was doing what. Service, energy, nothing felt quite right until 7, when the stream began to run and everyone put on his game face. Don’t expect much in the way of atmosphere, either. There’s nothing outright wrong with the unrefined salmon-tinted stucco walls or the unpretentious tile floor. Nor the bargain glassware and diner-quality salt and pepper shakers. It’s just not high-end. Lemons had been pre-cut and were thus a little dry; cherry tomatoes and celery sticks, plopped in a bowl with melting ice, drooped and drabbed. But why complain when they’re given for free? The rest of the meal was delightful. Gnocchi in a gorgonzola cheese sauce, rich but not heavy or dull, with pine nuts strewn on top for crunch, went like this: creamy fluffy toasty nutty. Seafood soup, a nightly special, a big, big bowl, held bites of snapper, crawfish, mussels in the shell, cubed carrot, and short tubes of pasta, in a clean, zesty broth rife with flavor notes, from the pure briny taste of seafood to the acidic tang of tomato. 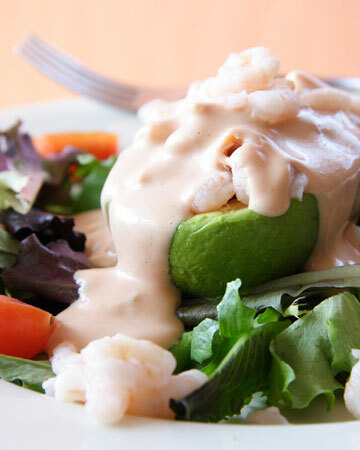 Salads were straight and true, relying on sparkling fresh greens and fruity dressings judiciously applied. Alternately, a side dish of spinach, deep green, got a sinful overdose of olive oil and garlic, for a little stab of flavor. Alessio’s does manly cuts of meat such as pork chops and New York strip steak, plus a fresh fish of the day. But the sleeper was the pizza. Franceschetti brings in the dough for the crust from New Jersey. The water is different, he says, sounding like he’s talking about bagels. But there was something truly special about the way it tasted, with a salty, sharp undertone that seemed to magnify the flavor of the toppings: thinly sliced prosciutto, fresh spinach, or chubby artichoke hearts. Franceschetti wisely offers a pizza topped with Jimmy’s Italian sausage, so that’s an automatic go. The sausage showed up in a killer pasta dish, too: penne alla Contadina, with thick coins in a hearty marinara spiked with soft, mellow strips of onion and bell pepper. That’s something you can eat every night. Even the desserts charmed. Tiramisu was a perfect square of mascarpone and espresso-soaked ladyfingers dusted with cocoa, homey for a restaurant but nicer than homemade. Bread pudding, a squooshy rectangle, came satisfyingly warm and drooling thick caramel sauce. So good that, rumor has it, they’re driving in all the way in from—gasp—Plano. 4801 Bryan St., Ste. 100. 214-824-2200. $$-$$$.